The recognition “Outstanding Practices in Agroecology 2019” highlights practices that empower small-scale food producers, nurture sustainable food production systems and promote resilient agricultural practices that help maintain ecosystems and strengthen capacity for adaptation to climate change. Organised by the World Future Council in collaboration with the Start up TAGS (Technology for Agroecology) in the Global South, the recognition seeks to raise global awareness for these exemplary practices and speed up action towards just, sustainable and peaceful societies. In January 2019, Outstanding Practices in Agroecology 2019 are launched on the occasion of International Green Week and the Global Forum for Food and Agriculture that annually are held in Berlin, Germany. 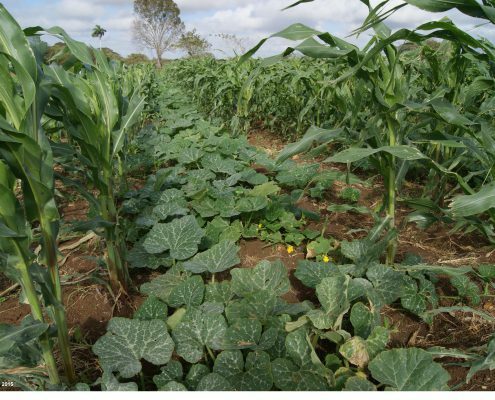 The African Biodiversity Network (ABN) works in 11 African countries to revive traditional agroecological farming systems, which are threatened by industrial agricultural practices. Seed diversity and sovereignty is the key focus of ABN’s work. To achieve this, the practice is fully inclusive, driven by communities and involves activities such as seed banks and household seed storage systems, community ecological governance, seed festivals, community research groups, seed maps, exchange visits, community dialogues, seed exchanges and sharing, seed selection, saving and multiplication, and much more. Currently it has 4,640 farmers working on reviving seeds and has revived 470 varieties of seeds. Where they work, poverty level has gone down. Farmers are less reliant on external inputs, have more food, have improved their health, and are more able to send their children to school. Premium Hortus, an African Greentech company, specialises in the e-commerce of agroecological products, organic production and producer support. Available as a web and mobile platform, Premium Hortus allows consumers to subscribe and get sustainably farmed products in short food supply chain delivered to their home safely. On the other hand, Premium Hortus offers farmers the opportunity to educate themselves thanks to its technical management advice. Waste is limited and recycled for organic composting, biogas, and for the cosmetic industry. So far, the company has trained 400 small farmers and provided access for more than 700 urban households to healthy food. 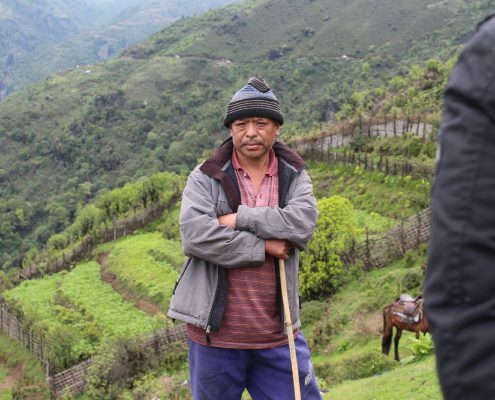 Results show that Premium Hortus helped farmers to reduce their harvest loss by up to 50% and reduce carbon emissions by 47% compared to conventional agriculture. Premium Hortus is currently in the expansion phase to Morocco, Togo, and Cameroon. 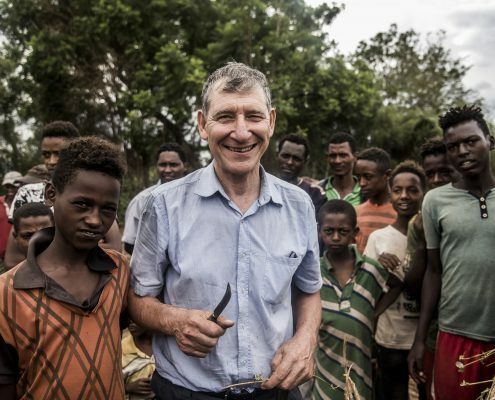 Started by the World Agroforestry Centre and local partners, this project tackles land degradation and social deprivation by enabling farmers to implement agro-forestry techniques. In Rural Resource Centres (RRC) capacity building and knowledge exchange between farmers, NGOs, governments and private are encouraged, as well as livelihood diversification through the creation of new-local micro-enterprises. 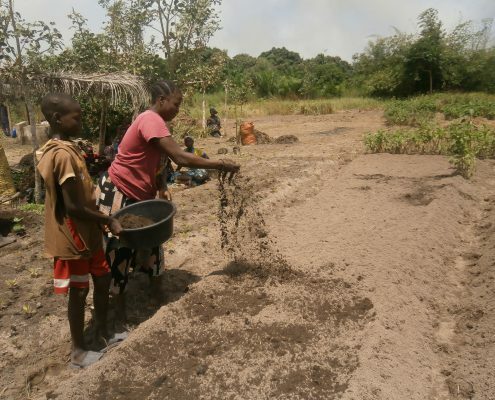 In Cameroon, the project helped communities to open 10 RRCs, hosting 150 nurseries and serving over 10,000 households, planting over 1.6 million trees. The average income of participating communities rose to over USD 26,000. The project inspired the inclusion of more than 50 indigenous food trees species in domestication programmes worldwide. 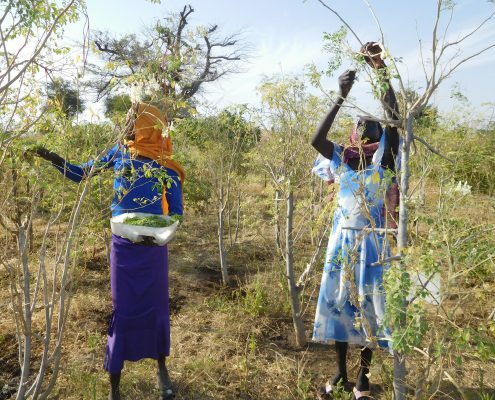 In 2016, it started operations in Mali, establishing 14 RRCs, planting 4 million trees of 25 species and engaging 80,000 farmers in 183 villages. The social enterprise Shared Harvest was initiated by the leader of China’s Community Supported Agriculture (CSA) Network. It promotes a community-owned socio-economic mode of agriculture, where producers and growers provide mutual support and share the risk of food production. Operations are based on the Shared Harvest farm, with a system of weekly delivery of organic and locally produced food to 800 consumer members in Beijing. The farm, which currently has 50 employees (producers, food service and traders) and 1,000 supporting members, guarantees each subscriber at least 200 kilograms of fresh organic food, including over 60 categories of vegetables. Through its sustainable agricultural methods, it reduced the use of synthetic pesticides by 2,500 thousand tons. Shared Harvest is the foundation of China’s CSA movement and since its start, a surge of 1,000 farms have converted to CSA methods. The SEKEM Initiative works to realize its vision of sustainable human development, by using biodynamic agricultural methods to revitalize desert land and develop agricultural business, and by enabling knowledge transfer, education and conscious consumption. 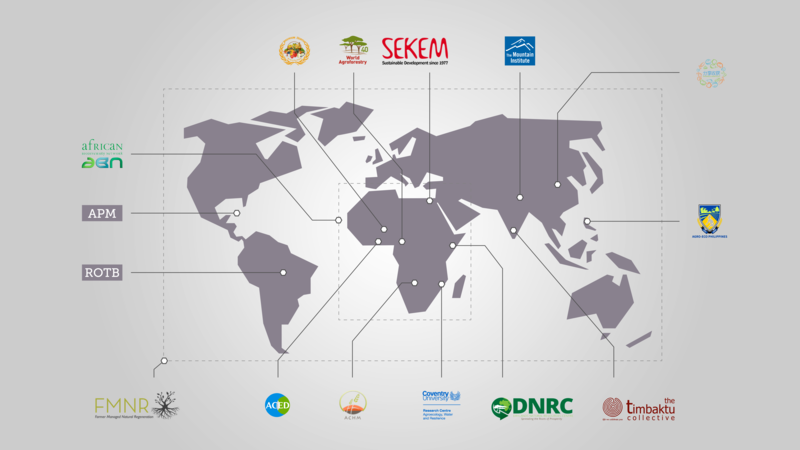 Today SEKEM is a leading social business worldwide overarching a group of companies and NGOs. About 684 hectares of desert land have been reclaimed, of which 100% is operated by biodynamic agriculture methods. 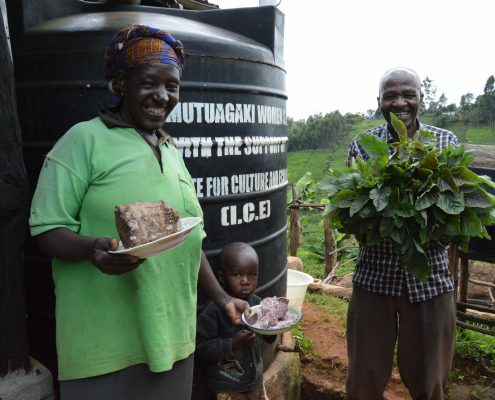 477 farmers have been trained in these methods. More than 70% of SEKEM’s reclaimed land produces food and raw materials for the local market. 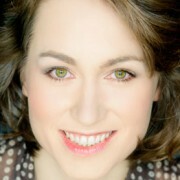 Its products respect highest possible ethical, ecological and social standards. 10% of profits go back to the community. SEKEM contributed to the reduction of artificial pesticide use in Egypt’s cotton industry by 90%, whilst boosting yields by 30%. Since 2007, SEKEM has set up three new model farms. FMNR was first developed in Niger with farmers by the NGO World Vision and is now implemented in at least 24 countries. It is a low-cost, scalable, quick and simple farmer-managed technique that regenerates living tree stumps or tree seeds in the soil, enabling large-scale regeneration of apparently tree-less landscapes through slight adjustments in behaviour and land management practices. In Niger, FMNR spread to 5,000,000 hectares, reviving more than 200 million trees. As a result, farmers in Niger produce an additional 500,000 tons of cereal per year, leading to enhanced food security for about 2.5 million people. As well, the gross income in the Maradi Region has grown by USD 17-21 million (USD 1,000 / household each year). 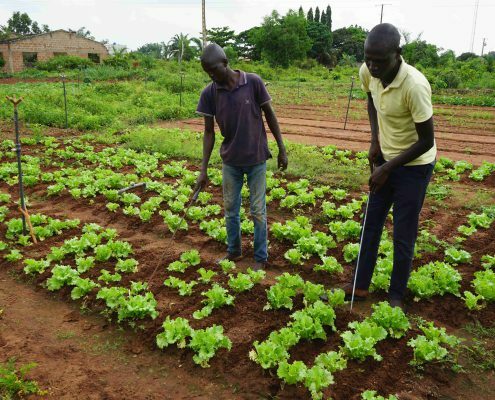 The practice inspired a farmer-led movement re-greening land in the Sahel region and offers rapid results without incurring any additional costs for tools and inputs. 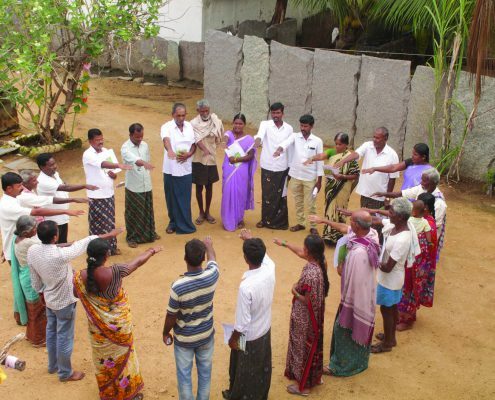 The Timbaktu Collective is a grassroots organization working towards sustainable development of marginalized people across 58 villages in the drought-prone and ecologically challenged Ananthapuramu District in Andhra Pradesh. It focuses on improving the livelihoods of smallholder farmers, by educating them in organic farming methods and providing them with inputs such as seeds for millets or indigenous cattle, and by involving them in producer-owned business enterprises that transform, market and sell the produce through the Timbaktu brand. As a result, 8,700 acres are now under agro-ecological farming practices. Currently they work with 2,080 farmer families, of which many are shareholders of the established cooperative, whose total procurement doubled in the last two years, to 877 tons in 2017. Timbaktu provides 20-50% premium prices over market prices and thereby ensures fair market access. The Drylands Natural Resource Center (DNRC) works with over 600 smallholder farmers, in order to restore their land through agricultural and agroforestry best practices, to enhance income generation, build social capital and provide food security. The Center educates farmers and schoolchildren on agroecological techniques by means of shared learning and a demonstration farm, and promotes tree planting, rainwater harvesting and livelihood diversification. Thanks to DNRC over 100,000 tree seedlings of over 30 different local species are planted each year, with a survival rate of 80%. Its Rainwater Harvesting Programme installed 90 water cisterns each of 10,000 litres in schools and households providing clean drinking water to over 1,900 children and parents. 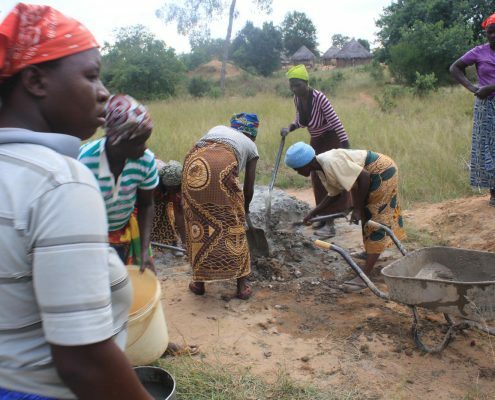 It increased and diversified income of farmers by sale of firewood, moringa powder, oil and seeds, aloe vera, baskets, carvings, and more. Two Catholic organisations, Trócaire and Fastenopfer, have trained their staff in DNRC’s approach and spread it around Kenya. 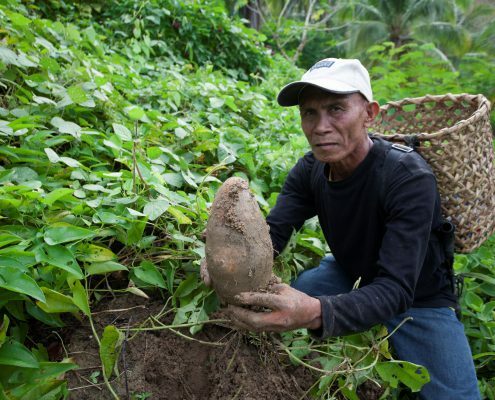 The farmer-owned NGO Agro-Eco Philippines addresses the gaps in rural development, by focusing on conservation, organic production, social entrepreneurship and marketing hubs. Agro-Eco Philippines entails key features including but not limited to: seeds and plant genetic conservation, farmer-led and participatory plant breeding, community-based seed banks and learning farms, training of young farmers and students, and organic products processing. 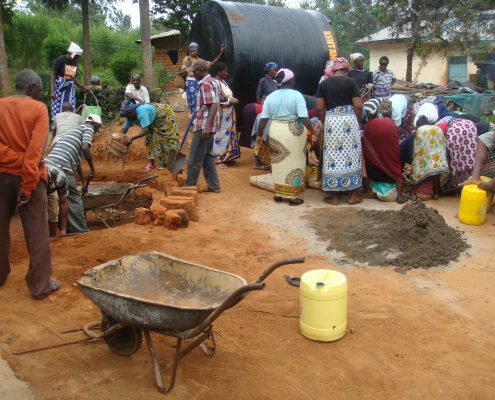 The NGO has trained a total of 3,048 small-scale farmers in climate-resilient agriculture. It developed 73 farmer breeders and 420 farmer-bred lines (varieties) for rice/corn, initiated 22 farmer’s organizations now engaging in social entrepreneurship and established 5 marketing hubs in Mindanao. It has increased regular income of farmers, and influenced local policy. Agro-Eco currently works with 300 organisations across the Philippines. The Africa Centre for Holistic Management (ACHM) supports the dissemination of holistic management planned grazing in Africa, foremost in Zimbabwe. In 2005, it started to work directly with farmers. Based on a 3,200ha ranch, ACHM works with local farmer communities, government agencies and NGOs to offer innovative training and outreach programmes based on practical learning sites that provide evidence of land water and wildlife restoration using livestock. 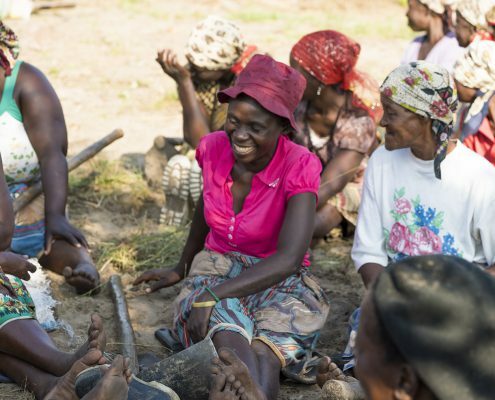 The Centre has trained 100 facilitators so far and reached 15,000 communal farmers in 16 Zimbabwean communities, who have been able to increase their revenues by 3-5 times. ACHM implements holistic grazing on 10,000 acres and influences another 500,000 hectares with its partners. Holistic grazing results in a 31% decrease in bare ground, a 56% increase in litter cover, and a 12% increase in perennials, which means there is much less surface loss of rainfall and surface evaporation. This practice is being adapted by other organizations in other regions, as it is a low cost, replicable method. Developed by the NGO Centre d’Actions pour l’Environnement et le Développement Durable (ACED), this practice turns the biological control of the highly invasive plant species water hyacinth into an economic opportunity. The practice recently developed a new technique to increase collection productivity by a further 39% and trained 214 gardeners (many women and young people) to use that innovation to make and use water hyacinth compost. Thanks to its action, a 20% reduction of water hyacinth was achieved by 2016. By 2017, more than 5,400 tons of water hyacinths were collected and more than 3,200 tons of compost were produced. Through the compost, gardeners measurably increased crop productivity and produce quality. Furthermore, smallholders are also connected to market opportunities. There is a high potential for replication in countries affected by water hyacinth, such as Ethiopia, Kenya, etc. 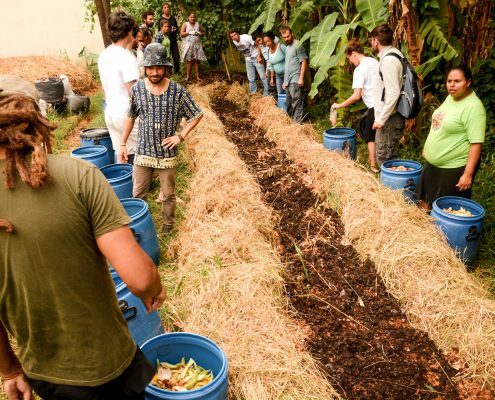 The “Revolution of the Buckets” is a community project that collects domestic organic waste for use in urban agriculture in socially-troubled areas of Florianópolis, Brazil. With the training of local people, this highly cost-effective practice ensures the monthly recovery of 10 tons of organic waste and its transformation into 3 tons fertilizer that supply the need of 25 yards, 4 school gardens and community space. It considerably reduced the number of rats and hence of diseases. Through its promotion of urban agriculture, this decentralized and participatory waste management system has already treated 1,200 tons of organic waste and contributed to the production of nutritious food for participating families, benefitting over 1,600 people. In the past 10 years, 30 young offenders were integrated in the project. It is being implemented by other organizations in other cities across Brazil. This practice aims to increase the capacity for self-regulation of pests and to increase the capacities of farming, specifically by diversification of the use of biological control agents, integration of soil management using rotation systems, soil laboratories, design and management of the cultivation with polyculture or mixed cultures, cultivation of natural enemy pest regulation and increasing biodiversity by enhancing the complexity of the production systems matrix. APM increases the diversity and regulatory activity of natural enemies by 25-35%. From 2003-2008, 30,780 farmers were trained and diffused APM to others. Furthermore, 1,704 municipal plant health specialists and 2,736 technicians of farmers’ organizations are now qualified in APM. As of today, APM is adopted on 373,800 hectares (40% use four, whilst 22% use all APM components). APM led to reduced costs of pesticides and pests in 75 % of the Cuban agrarian production. A similar programme is being conducted in Nicaragua and will give results within 1-2 years. The project Inclusive investment for agroecology aims to facilitate access to financing for farmers wishing to affect a transition towards agroecology. Based on a combination of individual and collective investment, risk sharing and a process of consultation and negotiation, the practice facilitates a transition to boost agroecology, strengthens local institutions for self-determination, facilitates higher level of aggregation and diversifies production and markets. By June 2018, 180 smallholders have been trained in agroecology, 3 permanent trainers have been secured, 30 contractual agreements of agroecology investments have been signed and fulfilled, and 120 ha of land was in transition to agroecology. A cooperation with a local Slow Food organization has started. The practice is currently being replicated in the Nampula region and provides a 12-step guide for global implementation.